NEWS: Litter plans for 2019: Litters L and M. Puppies for litter L are expected during the week 16! Please see the full pedigree of the litter here. 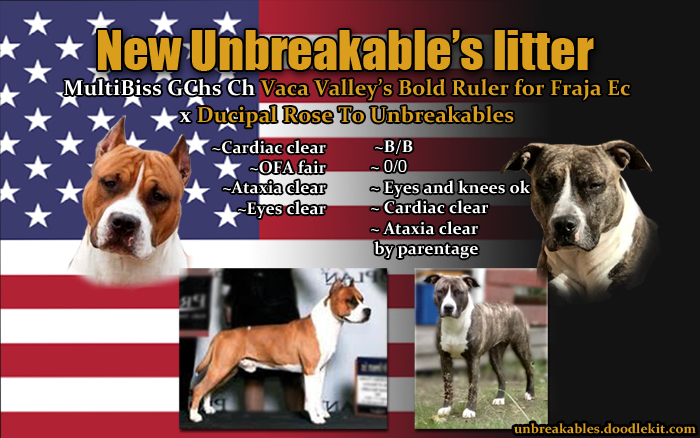 Unbreakable's has been breeding showy, healthy and energetic amstaffs since 2004.